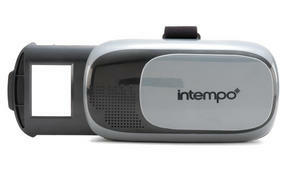 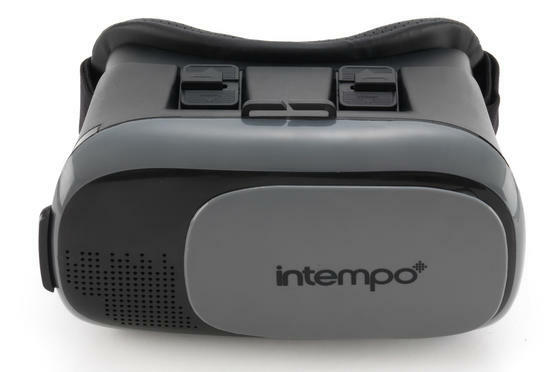 Experience virtual reality games and videos on your Smartphone with this fantastic Intempo 3D headset featuring Bluetooth function and built-in earbuds so you can completely immerse yourself in movies, apps and games. 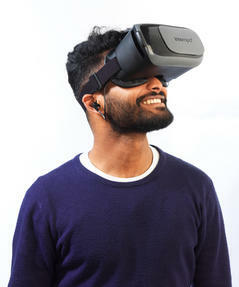 Simply download an app or movie onto your phone, place it into the headset and see the incredible technology which will make you feel a part of a new world. 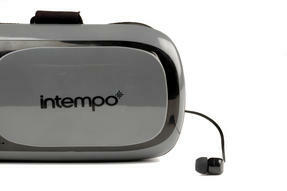 With a sleek looking design and T-shaped straps, it provides ultimate comfort suitable for all head sizes. 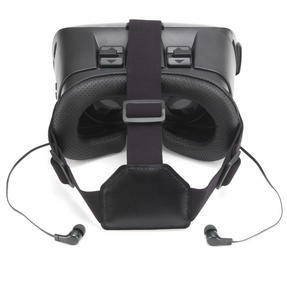 The stylish black headset has adjustable T shaped straps suitable for all head sizes and breathable goggles for maximum comfort. 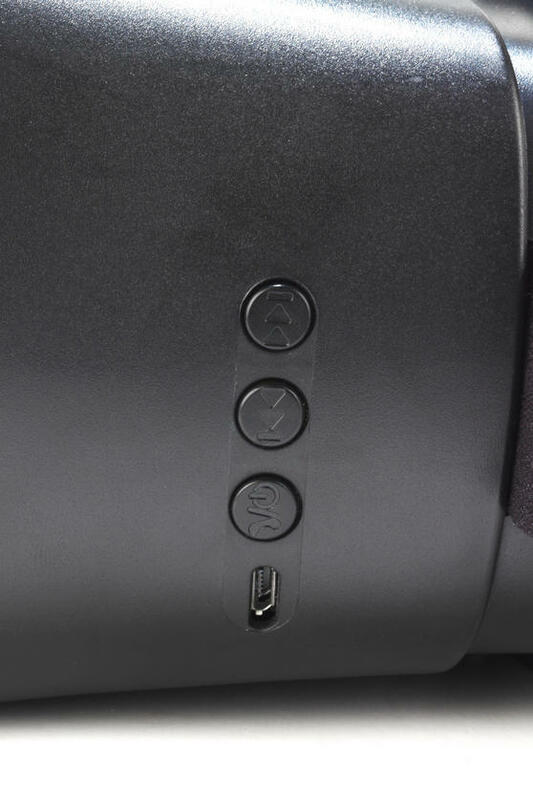 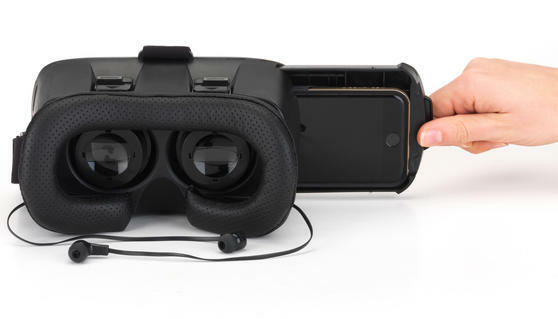 Using a cradle clip, the phone will sit safely inside the headset while you enjoy a 3D movie or game in the comfort of your own home. Suitable for use with 3-6 inch Apple or Android phones, this virtual reality headset is a brilliant way to enjoy new technology. Bluetooth enabled, the headset has an 80 degree viewing angle and built-in earbuds for the full virtual reality experience.